Pagosa Folk 'N Bluegrass Junior Jam Camp is open to students ages 7-15. Exceptions MAY be made for younger students who have demonstrated aptitude and experience. This camp is an opportunity to explore traditional music in a supportive environment with qualified instruction alongside peers of similar abilities. Please speak with your children about behavior expectations while at camp. At least one parent, guardian or other responsible adult must be present on campus (Reservoir Hill) during the camp. All students are expected to camp on the festival grounds or in lodging that is close to the campground. There is a $25 discount on tuition for up to 2 additional students per family group. A family group is defined as two related camp participants and their parent(s) or guardian(s). 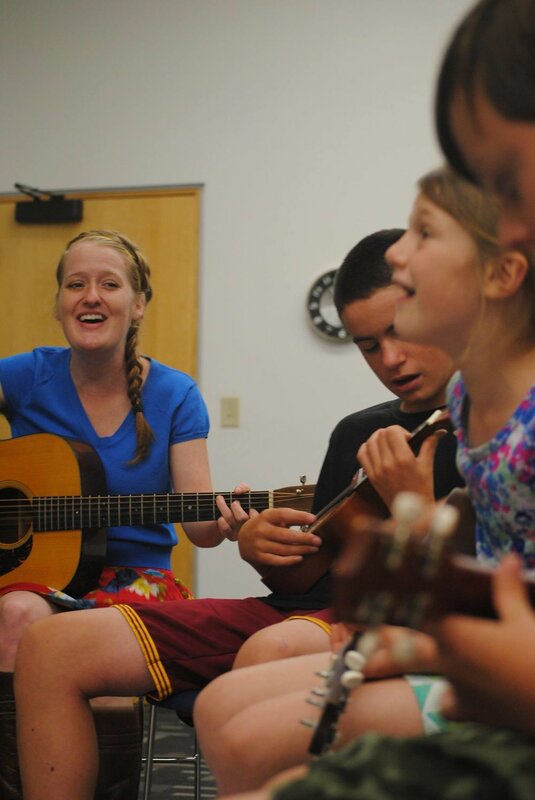 The Bluegrass Kids Camp is a fun, 5-day music camp in Crested Butte that provides kids (ages 7-14) an amazing experience in bluegrass music education. Students learn to play in a bluegrass band with other students, write songs, and advance their individual skills through instrument break-out sessions. The day camp offers training for first-timers as well as intermediate players. Your tuition covers all instruction and camp activities over the 5-day camp plus a music starter pack for your child. *CBMF Bluegrass Kids Camp in Crested Butte is a day camp from 9am-4pm daily. Housing is not provided for students or their families. Queen Bee’s Kids Bluegrass Camp is a fun, week-long music camp that provides kids (ages 7-14) an amazing experience in bluegrass music education. Students learn to play in a bluegrass band with other students, write songs and advance their individual skills through instrument break-out sessions. The day camp offers training for first-timers as well as intermediate.